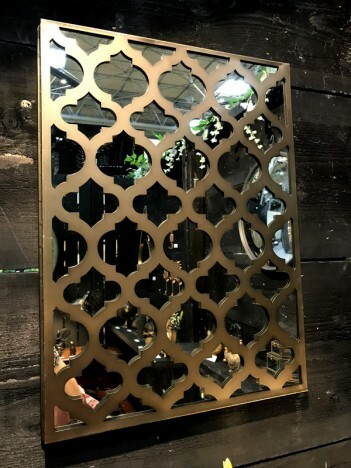 Made of metal and glass in a bronzed finish with a pretty metal design overlay. For indoor use only. For collection or free local delivery only.